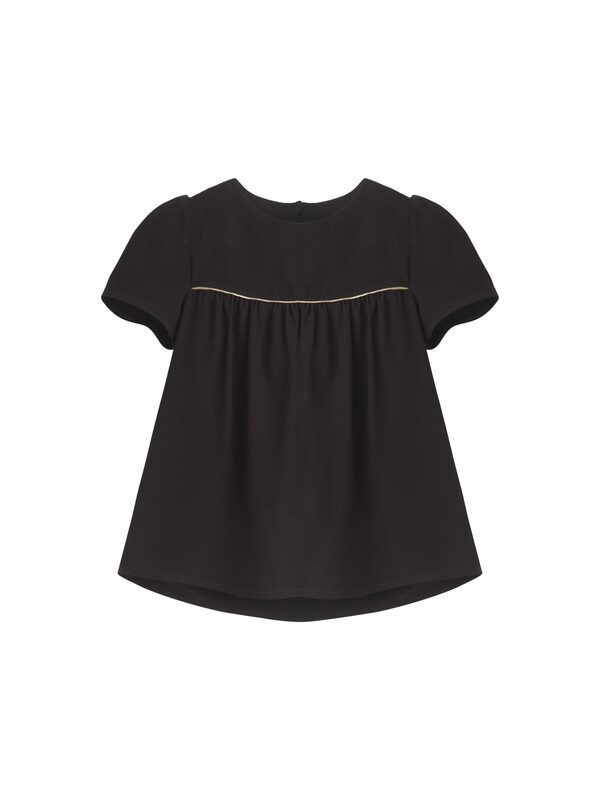 Short sleeve button back blouse with delicate gold piping. Our Pattie blouse is made from softly draping viscose fabric which is delicately gathered to give a beautiful voluminous silhouette. A three button placket on the back neck and softly ruched sleeves give volume and shape. The blouse is finished with delicate gold piping detail to the front and back, giving a touch of every day luxury.